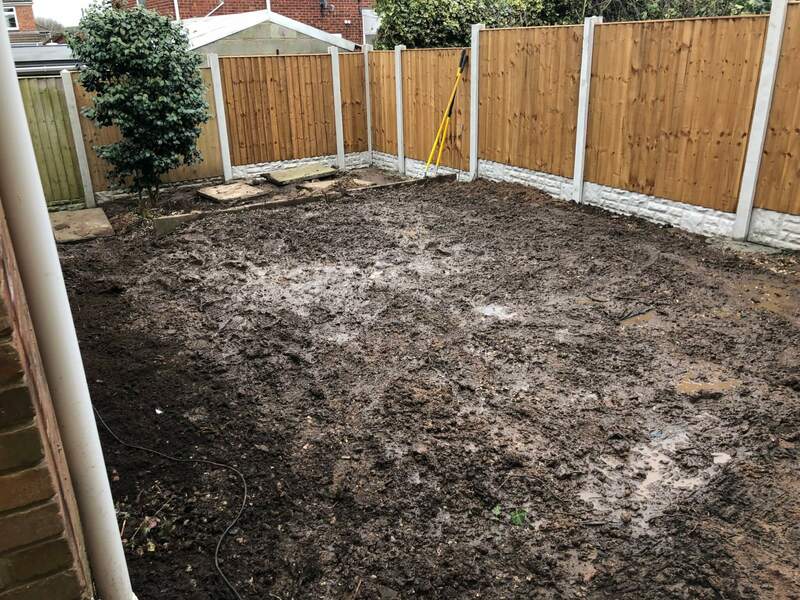 Here we have constructed a low maintenance garden. 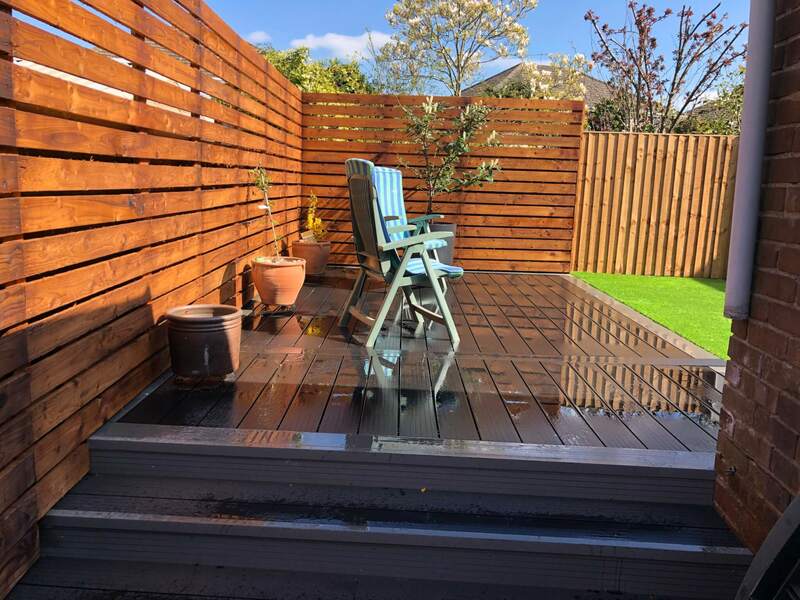 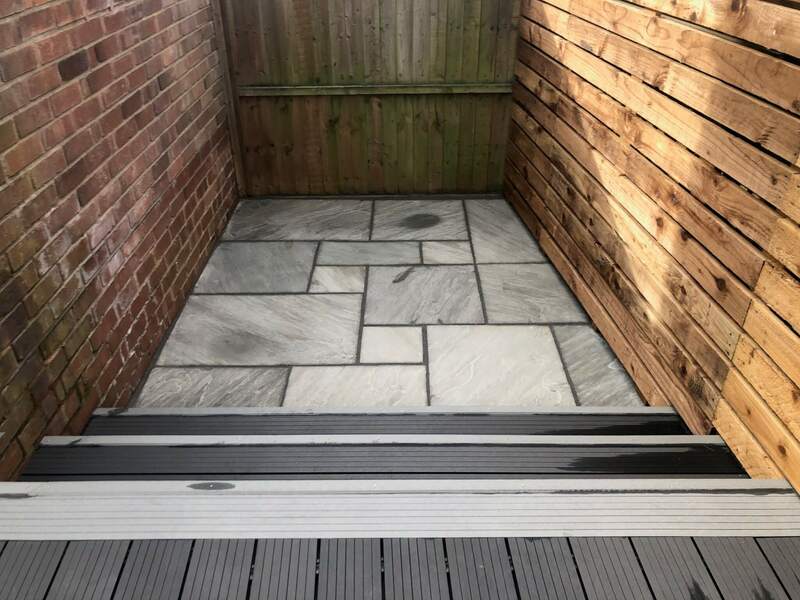 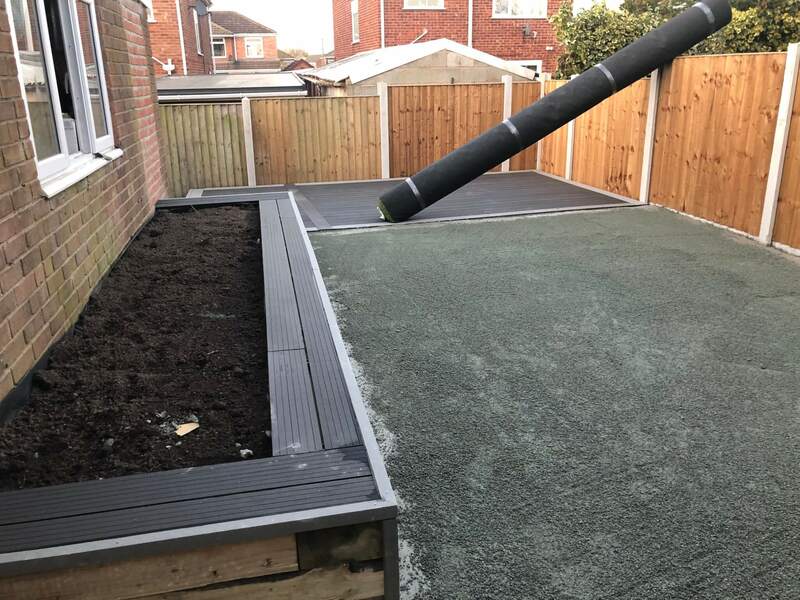 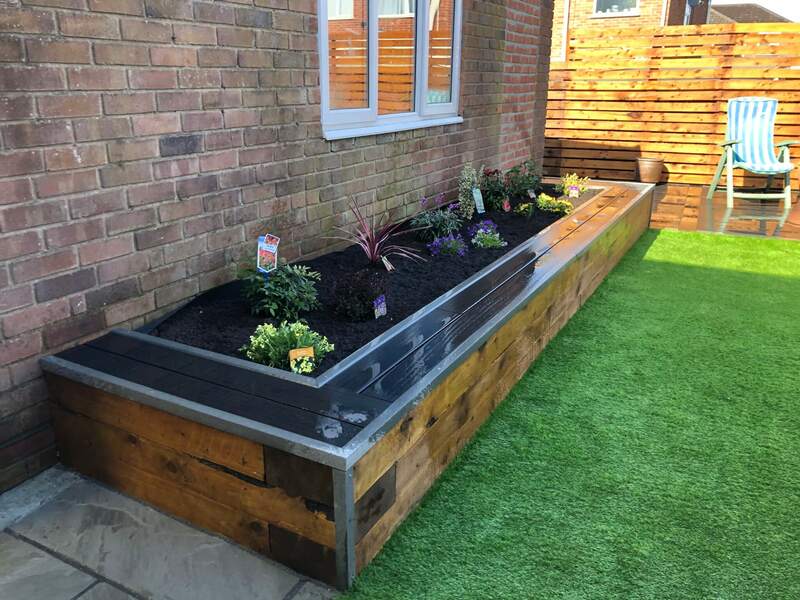 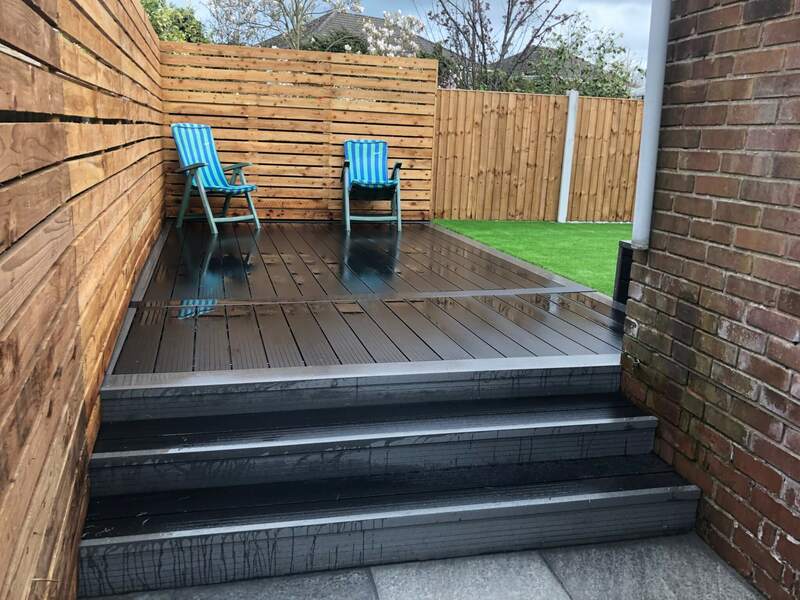 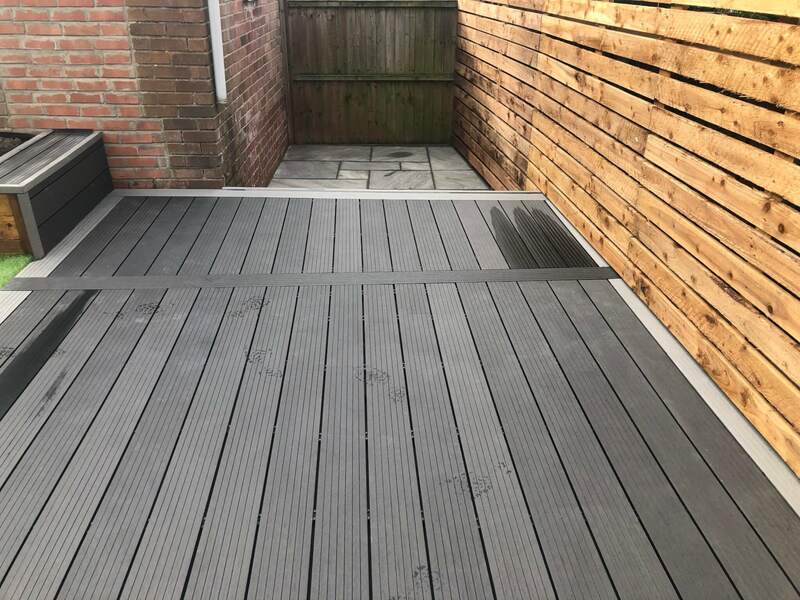 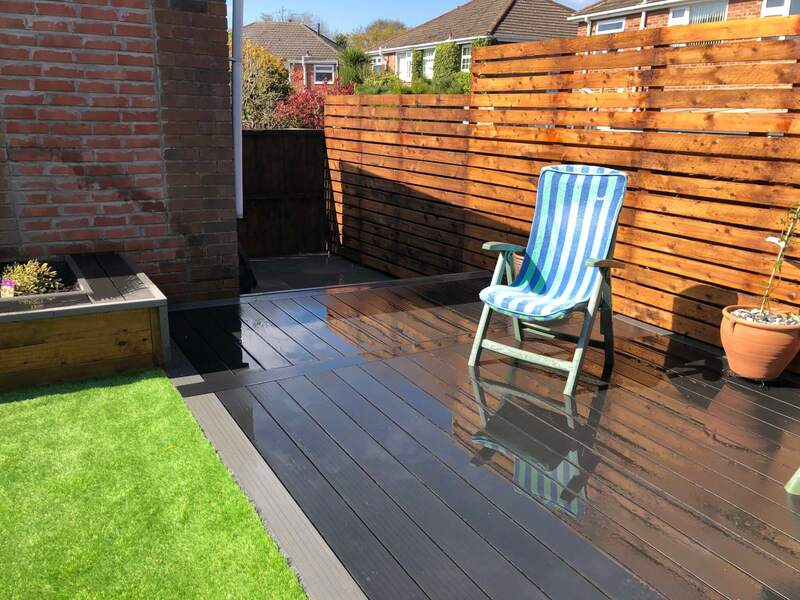 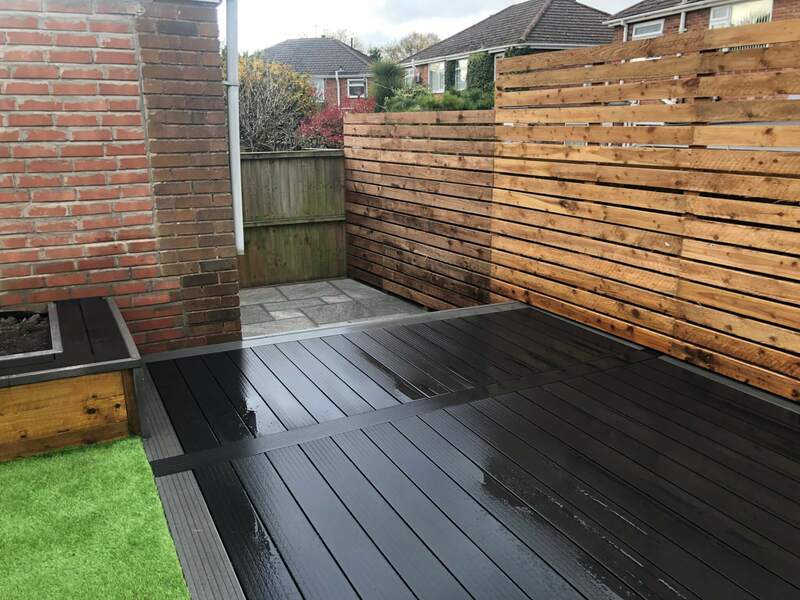 We have supplied and installed standard composite decking to the rear of the garden and natural stone paving to the BBQ area. 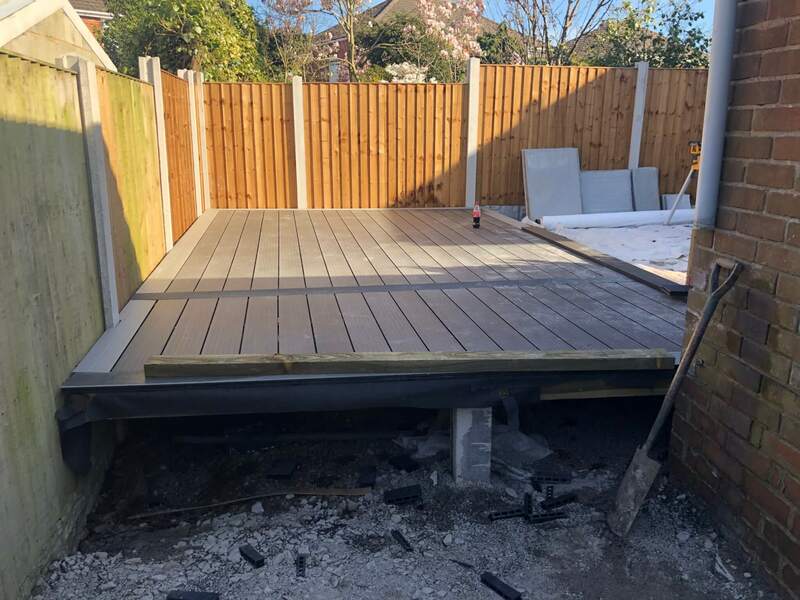 We have constructed steps down to the BBQ area using composite decking. 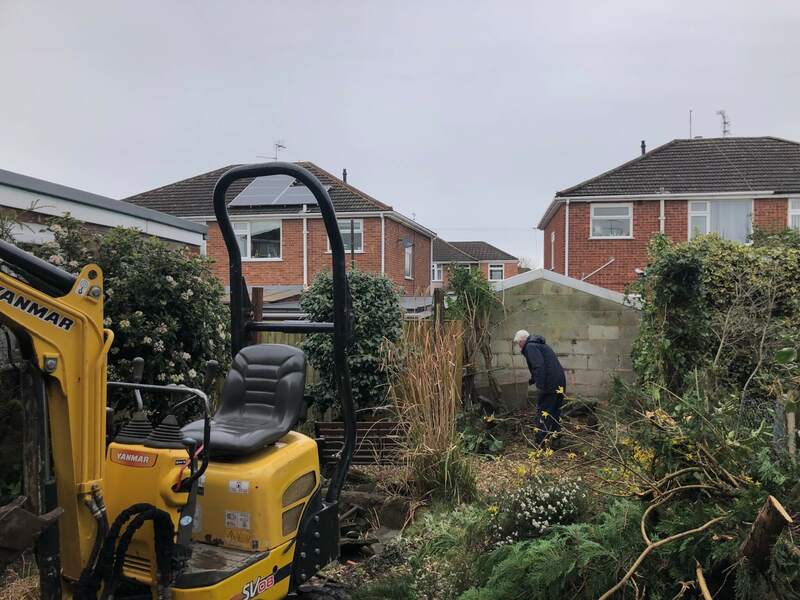 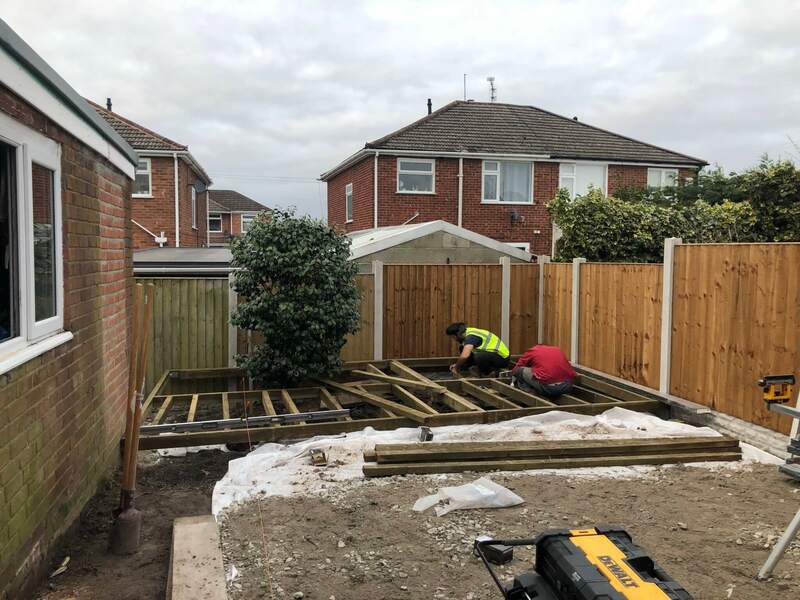 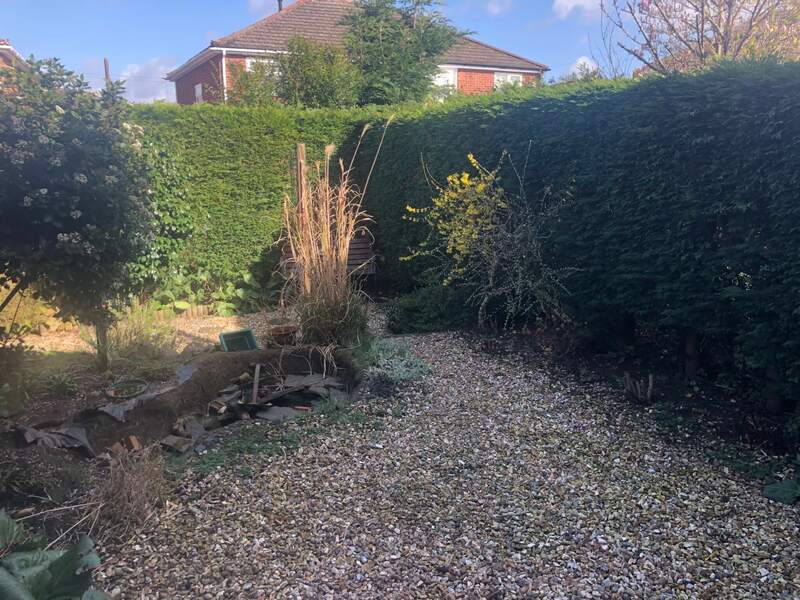 We have constructed a new fence with concrete panels and posts with feather edged timber panels and contemporary screen. 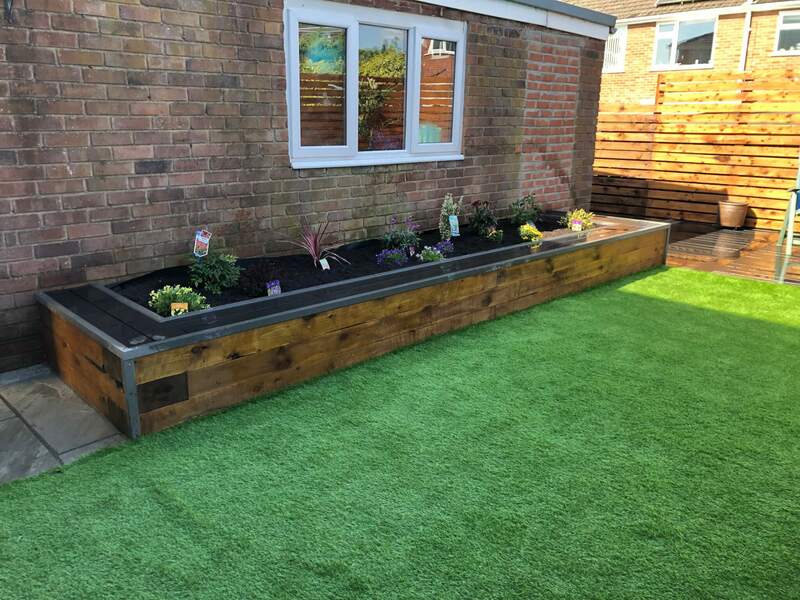 We have created a raised sleeper bed with composite decking on top of the sleeper for a bench seat. 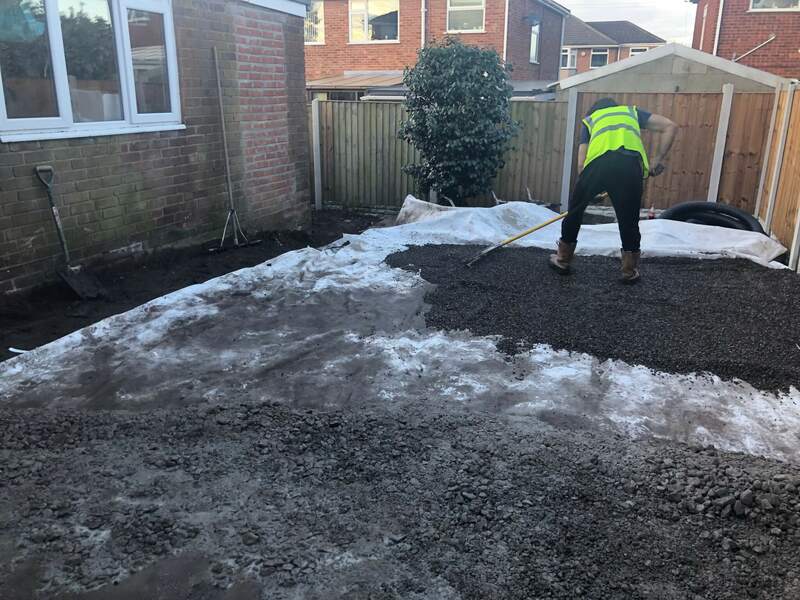 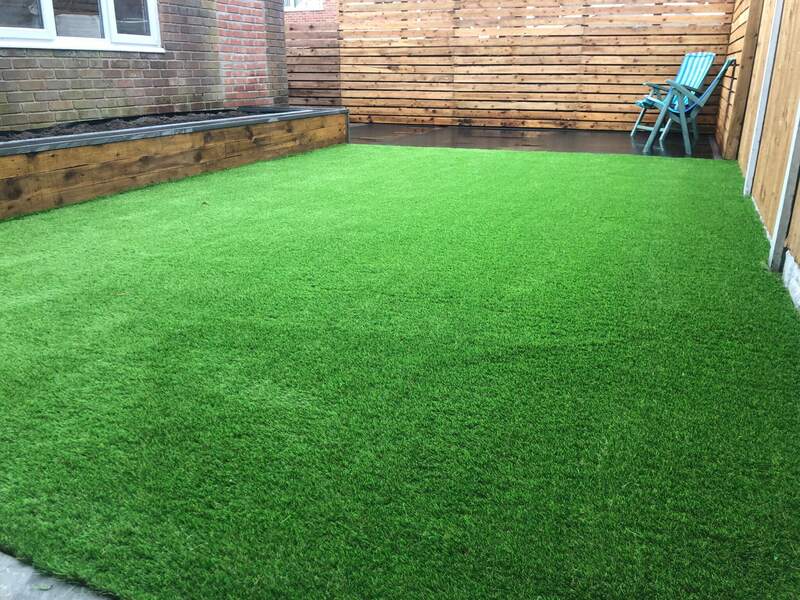 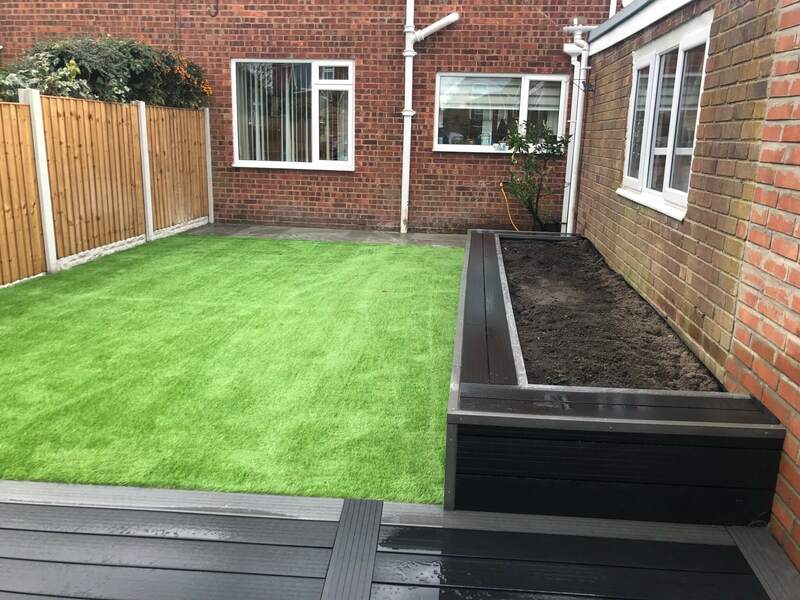 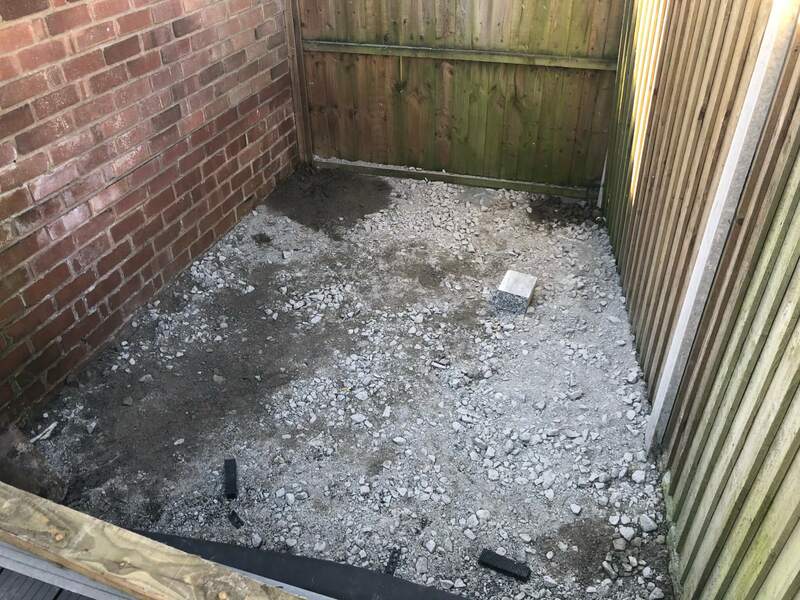 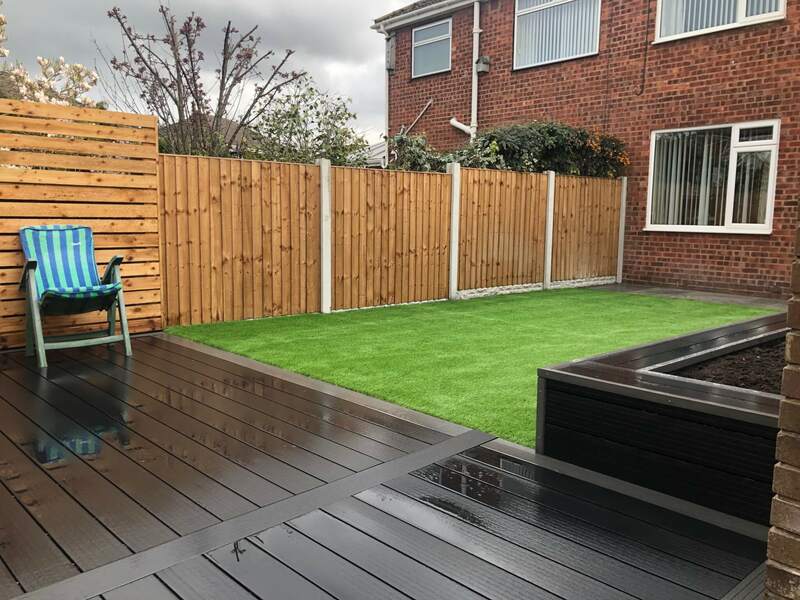 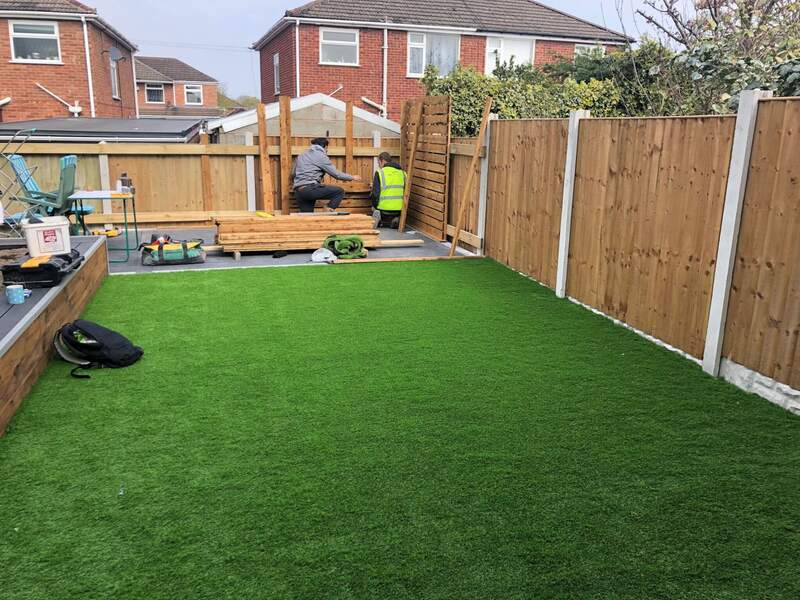 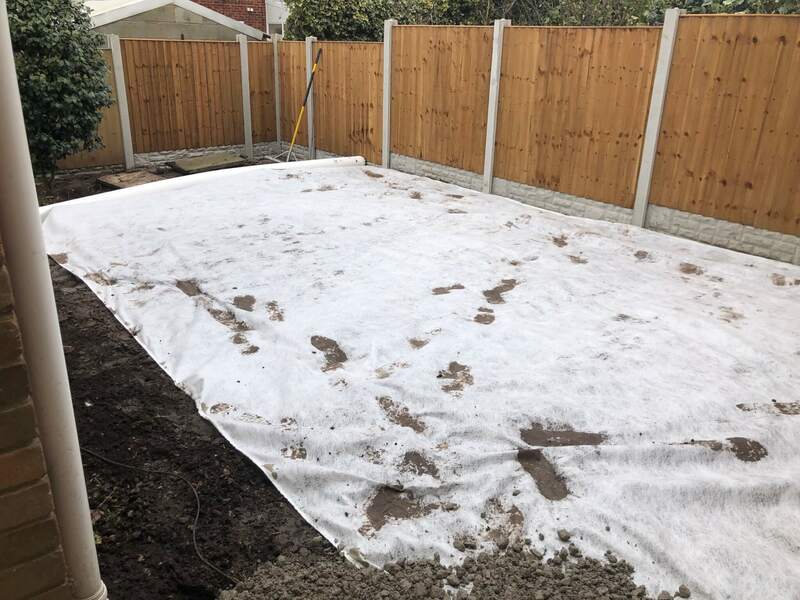 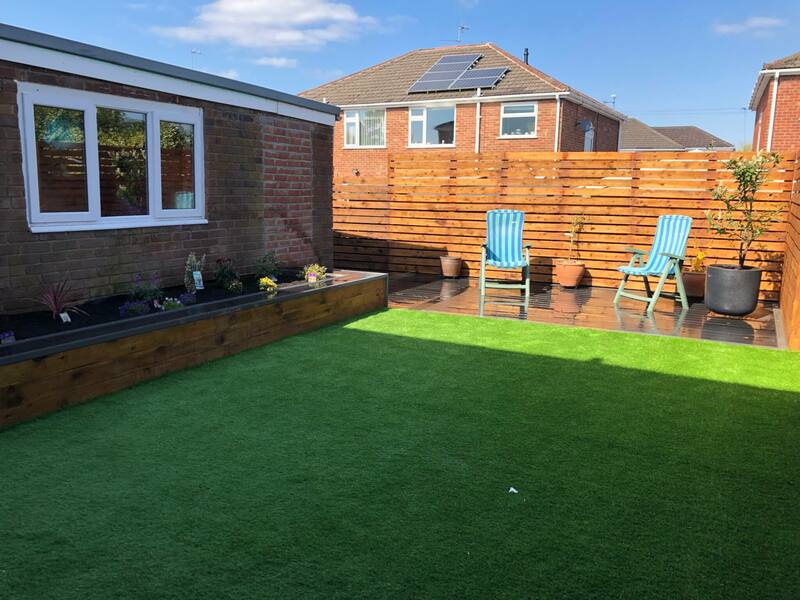 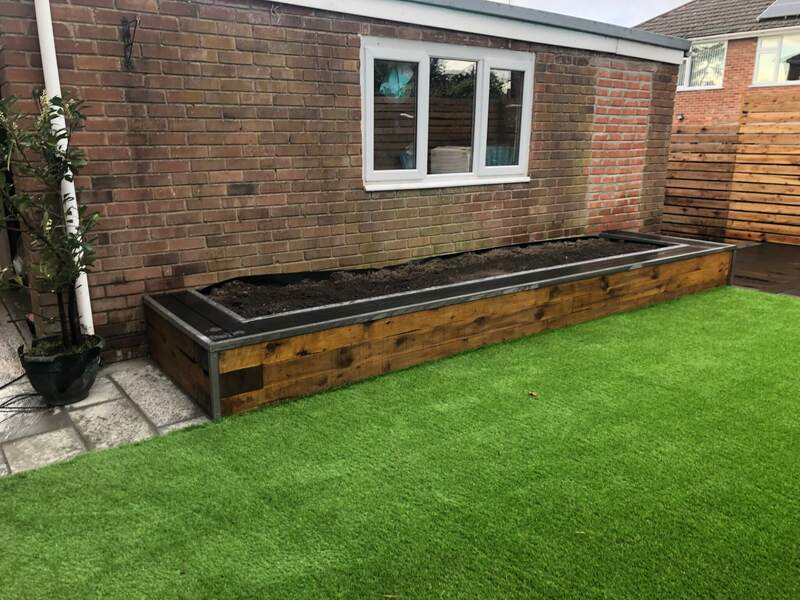 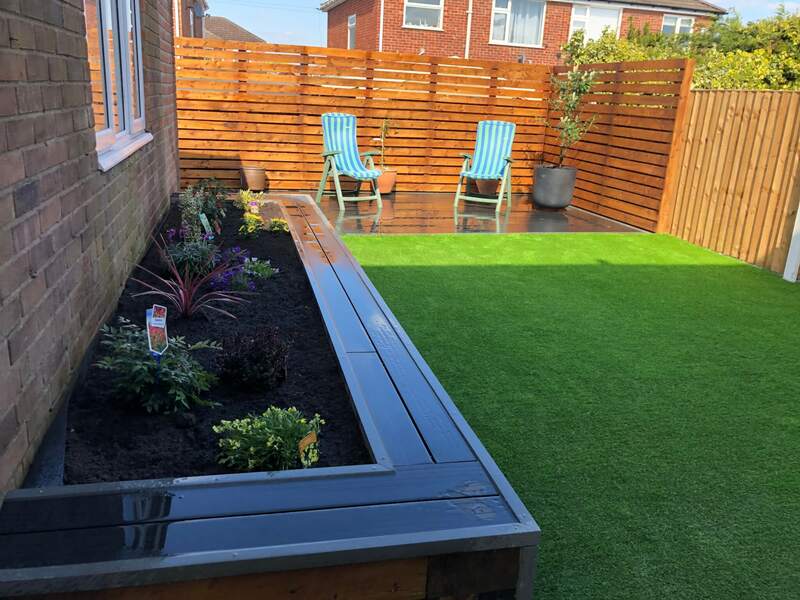 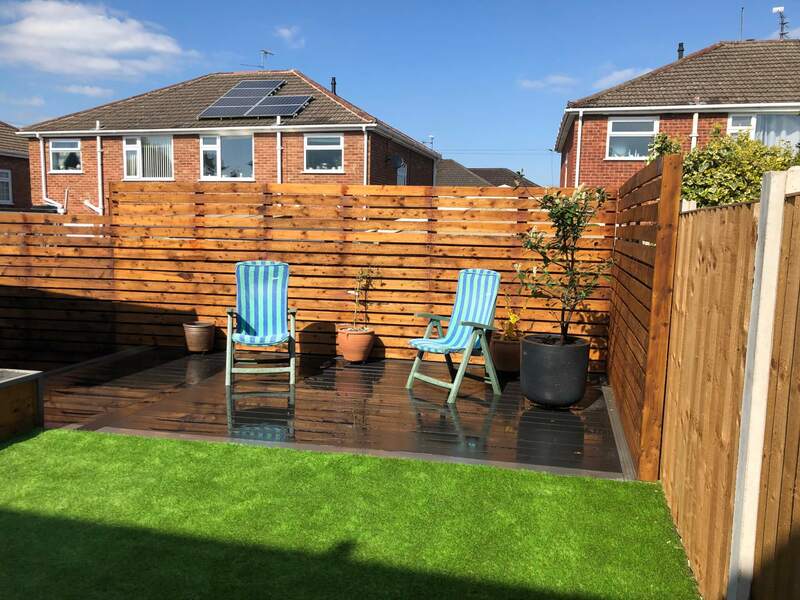 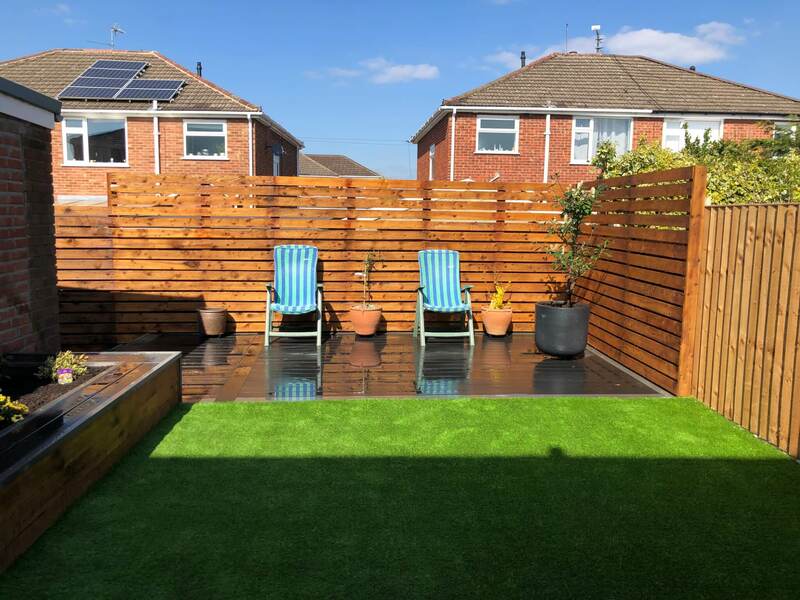 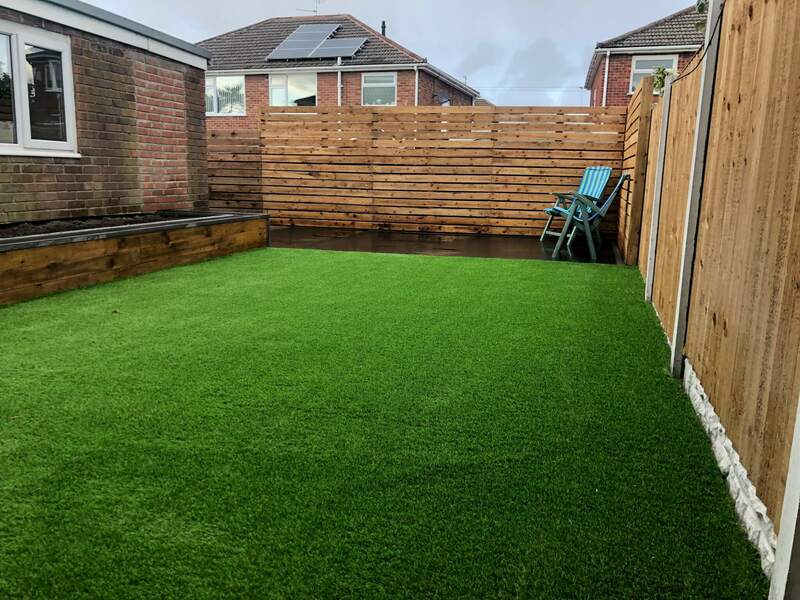 We have installed artificial grass between the decking and the path and land drain with a soakaway under the artificial lawn.